Crabgrass weeds are warm season annuals that are upright or prostrate and much-branched. Large crabgrass has purple stems, is mat-forming, and can grow to more than 3 feet in height. Smooth crabgrass, however, is usually 15 inches or less. Large crabgrass has blue green leaves that are pubescent on both sides, and with margins that may be rough. They are flat, sharply pointed, measuring 1/4 to 2/5 inch wide and 2 to 6 inches long. Smooth crabgrass leaves are normally colored dull green with purple tinge. Margins maybe rough and sharply pointed. The leaves are pubescent near the base, measuring 1 to 4 inches long, and 1/8 to 1/4 inch wide. 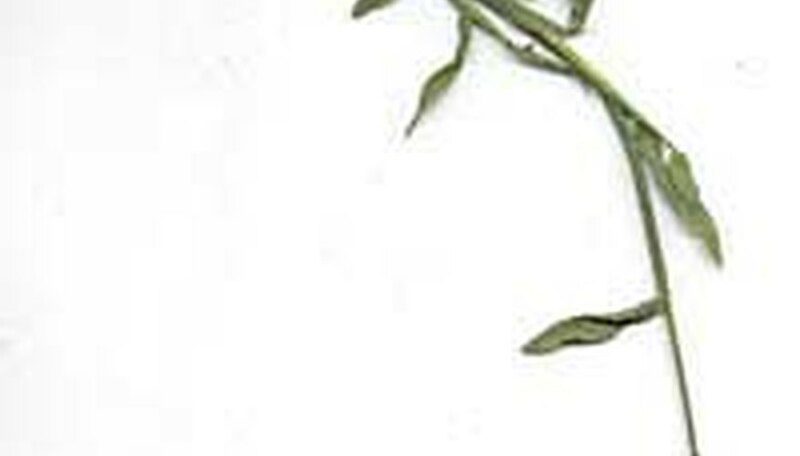 Flowers of large and smooth crabgrass are borne in a raceme. For the large crabgrass, there are about three to 13 purplish finger-like spikes that are up to 6 inches long. The smooth crabgrass has about two to six finger-like, purplish spikes up to 4 inches long. Both large and smooth crabgrass flowers occur in August and September. Crabgrass weeds can be found in most warm, moist, fertile lawns in sun where turf is thin or mowed too short. 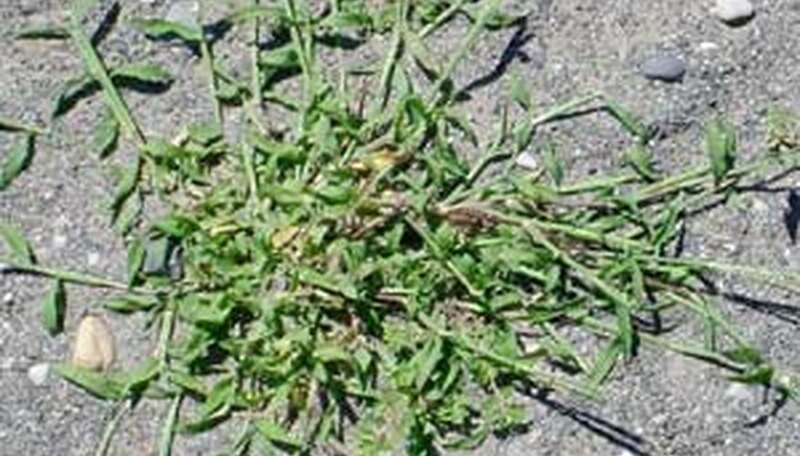 Crabgrass weeds can tolerate hot, dry, compacted soils after establishment. They may also aggressively spread over and around the healthier grasses. Crabgrass tends to not survive under shady conditions. Drought can bring about the growth of crabgrasses. They thrive better under sunny and dry conditions. Large crabgrass tends to germinate later than smooth crabgrass. The ample moisture in early summer can encourage germination. Herbicides: Use of pre-emergent herbicide in the early spring can be an effective way to control the spread of crabgrass, especially in heavily infested areas. There are organic and synthetic herbicides available in the market to suite your needs. Make sure to follow the instructions before applying. * Apply pre-emergence herbicides before germination; typically this is when the soil temperatures stabilize at 50 degrees F for several consecutive days. On the other hand, post-emergence herbicides should be applied when plants are small. * Plant Vigorous Lawn: The best defense against crabgrass is using thick and vigorously growing lawns. Furthermore, ensure that you do not mow too close to the ground, keep it as 2 1/2 inches for cool season grasses. * Fertilize: Apply fertilizers on your lawn in late summer or fall and again in spring. This way, your grass or lawn can develop a dense, healthy stand of grass. * Pulling: Pull crabgrass at first sign, before growing higher which can make them extremely hard to pull.